La Descente de Croix | One quality, the finest. How would you like to be part of art history? 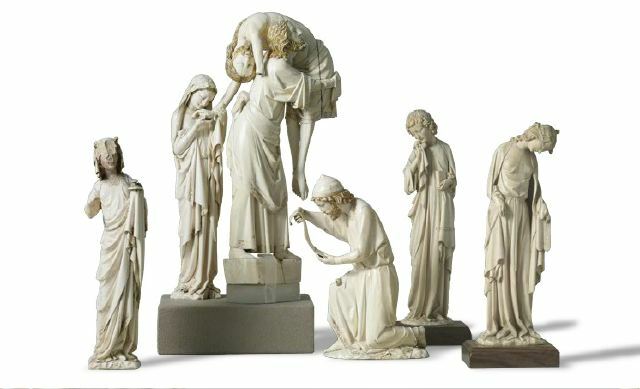 The Louvre is trying to raise 800,000 € by January 31, 2013 to buy two ivory statuettes from the 13th century (the two on the right in the photo, above). 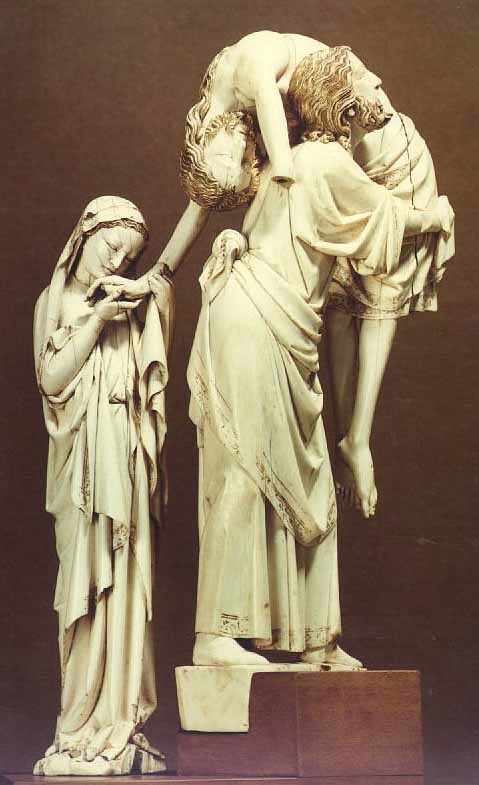 Since 1896, the Louvre has owned a group of four figurines known as La Descente de Croix (lah daysoht duh crwah), or The Descent from the Cross. In 1947, the children of Baron Robert Rothschild made a donation of an ivory figure that was only identified recently as belonging to this same group. But that left two that were missing, presumably lost or destroyed. Just recently, they came to light in the hands of a private collector who’d be quite happy to see the Louvre complete its set – if the price is right. The Friends of the Louvre have raised 1.3 million Euros, and AXA Art, an art insurance company, has come up with an additional 500,000 € of the purchase price; the balance is 800,000 €. The Parisian collector’s given the Louvre a deadline; after that, it’s off to find the highest bidder. This entry was posted in Art and tagged Art history, Descent from the Cross, La Descente de Croix, Louvre, Lucas Cranach the Elder, Musée du Louvre. Bookmark the permalink.